Girls and Boys… East meets West for braggin rights!!! Playing in the 36th annual McDonald’s HS All American Game (McDAAG) is almost a golden ticket to super-stardom on the collegiate or professional level. Since 1977, legendary players like Magic Johnson, Michael Jordan, Shaquille O’Neal, and more have all gotten their initial national exposure from playing in the McDonald’s Game. There is no such thing as a sure thing in sports, but that hardly has us putting down our crystal balls in the form of amateur tournaments and all-star exhibitions. The McDAAG is no different, and has always been a chance to see the special young stars of today and daydreaming of where they will land just a few years from now. The McDAAG is always about looking into the future, to see what these kids will do when they become men. 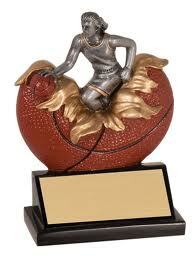 In the case of Taya Reimer and Jabari Parker, Players of the Year, it’s safe to say that it will be all good things. Final high school game…. what a way to end this chapter, and prepare for the next…. Senior guard Linnae Harper stood in the middle of a huddle of McDonald’s Americans at the United Center and initiated the celebratory cry. “Whose side? 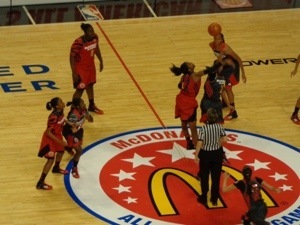 West Side!” as the West defeated the East 92-64 in the girls McDonald’s All-American game. Harper, a Kentucky-recruit, did a lot for the players visiting Chicago, including giving a tour of the city and recommending places to eat, but on Wednesday night, she pushed the pace of the game and helped her team snag a big victory adding eight points, five assists, three rebounds and two steals. At the half, the West led 45-35 and didn’t relinquish the comfortable lead. Harper directed a 7-0 second-half spurt in which she had a steal, two assists and a long jumper. Also at halftime, Harper was given a different award, the Jack Daly Sportsmanship award, which she shared with Erica McCall and Kelsey Plum. It was a tribute, she said, to her desire to make sure her teammates enjoyed her city. Tennessee recruit, Mercedes Russell (Springfield, OR), was named the game’s MVP after finishing with 16 points, 12 rebounds and three blocks for the West. North Carolina recruit Diamond DeShields led the East with 15 points and five rebounds, while Harper’s future Kentucky teammate, Makayla Epps, added 13 points. High School Player of the Year Notre Dame recruits Taya Reimer (2 points, 3 blocks) and Lindsay Allen (4 points, 6 rebounds) teamed up for the losing side with Northwestern recruit Nia Coffey (2 points, 6 rebounds). NOTABLE PERFORMERS: West — Tyler Scaife, 15 points, 5 rebounds, 4 assists; Jordan Reynolds, 10 points, 11 rebounds. 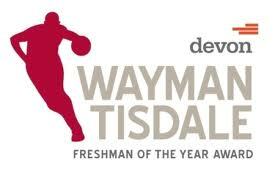 East — Diamond DeShields, 15 points, 5 rebounds, 4 steals; Makayla Epps, 13 points. Harper’s, now famous pre-game meal of the chicken skin mixed with ranch and french dressing, continues to help her basketball performances now for the Lady Wildcats. 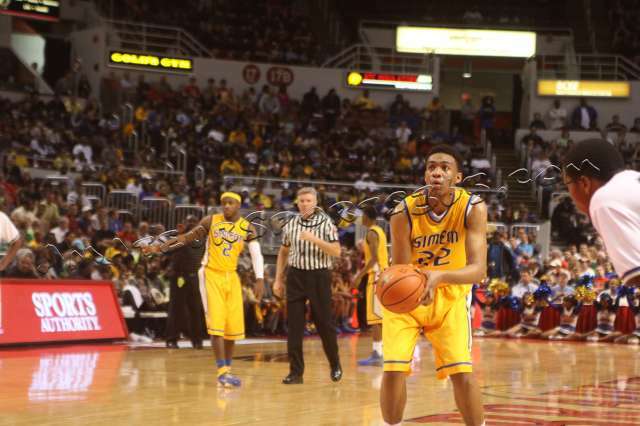 Talk about a stellar high school basketball career for Duke-recruit, Jabari Parker, from Chicago Simeon. And on Wednesday night, helped his All-American Squad (West), to a 110-99 victory over the East in front of his base-fans in Chicago at the United Center. Matched against the number 1 ranked, undecided player, Andrew Wiggins, Parker immediately made his presence felt defensively. He had two quick blocked shots, including Wiggins’ first attempt from the perimeter. He managed to stay in front of Wiggins more often than not, but did commit five fouls in the process. Parker didn’t have a problem getting his shot off on the other end, but getting the ball to drop was another matter. He was 4-for-13 shooting from the field and 2 of 2 from the line. Wiggins, on the other hand, was 6 of 10 and 7 of 8 for 19 points. Parker finished with 10 points, eight rebounds, three assists, two steals and two blocked shots. 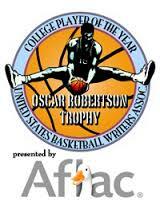 Arizona-bound forward Aaron Gordon, California’s Mr. Basketball, had 24 points and eight rebounds to claim MVP honors. Attendance: 15,818 at the United Center. 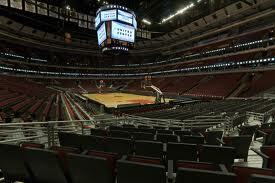 FUN NOTE: Record number of fans who attended the 2011 game at the United Center in Chicago. Last year’s attendance, also at the United Center, was 16,308. The attendance for the 2013 game was 15,818. Another successful McDonald’s All-American event and this clearly means the future of college hoops is in good hands! The McDonald’s All-American Game consist of the top players, each team plays a single exhibition game after the conclusion of the high-school basketball season, in an East vs. West format. As part of the annual event, boys also compete in a slam dunk contest, a three-point shooting competition, and an overall timed skills competition. The girls compete in the three-point shooting competition and the overall-skills competition. The boys’ game has been contested annually since 1978, and the girls game has been played each year since it was added in 2002. The McDonald’s All-American designation began in 1977 with the selection of the inaugural team. That year, the All-Americans played in an all-star game against a group of high school stars from the Washington, D.C. area. The following year, the McDonald’s game format of East vs. West was begun with a boys contest. In 2002, with the addition of a girls contest, the current girl-game / boy-game doubleheader format began. 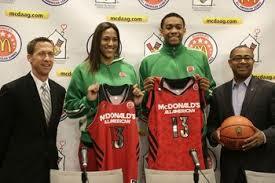 The McDonald’s All-American Team is the best-known of the American high-school basketball All-American teams. 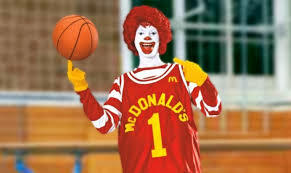 Having the designation of McDonald’s All-American instantly brands a player as one of the top high-school players in the United States or Canada. The teams are sponsored by McDonald’s, the fast-food chain. Proceeds from the annual games go to local Ronald McDonald House Charities (RMHC) and their Ronald McDonald House programs. The 36th annual McDonald’s All-American games activities kicked off Sunday with the players’ visit to the new Ronald McDonald House in Streeterville, where boys and girls players spent time with families. This is definitely an event I’ve been mentally preparing myself for almost as if it were the opening tip of the NBA playoffs due to the level of players selected on one floor in the house Michael built at United Center. Things get started with Chicago’s lovable son, Jabari Park, Player of the Year from Simeon, who just completed a 4-peat in the Illinois High School Association Title run. Mr. Parker is being recognized as one of the best out of Chicago since Derrick Rose, Ben Wilson, Tim Hardaway and Mark Aguirre. Then you have what is now being called the “new Fab Five…” Kentucky Wildcats recruits. Coach John Calipari has six of the 25 players selected to participate on the boys roster will be playing ball for him in Kentucky this fall. No college has drawn this many McDonald’s All-Americans in a single class. Kentucky-bound McDonald’s All-Americans in the ESPN rankings also include No. 3 Julius Randle, No. 5 Andrew Harrison, No. 6 James Young of Rochester (Mich.), No. 7 Aaron Harrison, No. 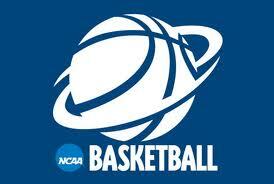 11 Dakari Johnson of Montverde (Fla.), and No. 18 Marcus Lee of Deer Valley (Calif.). Randle, a 6-foot-9 forward ranked the No. 3 recruit in the country by ESPN, had planned for a couple of weeks to make his college announcement on March 20. The day before he committed, Kentucky suffered a shocking 59-57 loss to Robert Morris in the NIT, ending a season in which it lost star Nerlens Noel to an ACL tear en route to a 21-12 record. Randle’s announcement — spurred by his desire to win a national championship, he said — immediately turned the page and sparked debate about whether the Wildcats’ recruiting class could be considered the best in history. The recruits learned that watching Kentucky this season. McDonald’s All-American Andrew Wiggins, a 6-8 forward from Huntington Prep (W.Va.) and the nation’s top recruit, said Sunday he will decide by mid-May between Kentucky, Kansas, North Carolina and Florida State. Click below to read recap…. Despite the neverending comparisons to Lebron James and Kevin Durant (for his quiet, yet relentless approach), Wiggins’ game is unique to only him, with his own true deficiency being he gets “bored” at times playing kids his own age, according to his high school coach Rob Fulford. Those not yet willing to sip the kool-aid on Wiggins should take a gander at this highlight mixtape. While the game Wednesday night won’t make or break Wiggins, Parker, Randle or any high school senior suited up, calling the All-American Game a “stepping stone” is short-changing the power of the moment. Stages like this can and have accelerated the process of morphing phenoms into stars, and stars into walking, breathing brands. 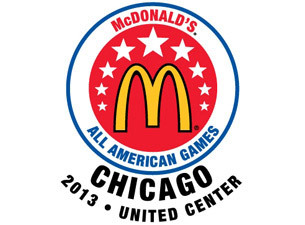 The rosters for the 2013 boys and girls McDonald’s All-American game can be found at http://www.mcdonaldsallamerican.com/aag/en/gamescenter/2013-Team.html. 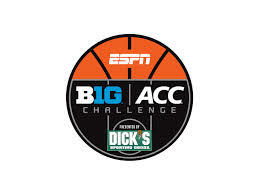 The games will be played on April 3, in Chicago (Ill.) at the house Michael Jordan built (United Center), with the girls’ game starting at 6 p.m. CDT on ESPNU and boys’ game beginning at 8:30 p.m on ESPN. – The selection of Taya Reimer to this year’s game made McDonald’s All-American history as she became half of the first father-daughter duo to be selected to the game. Her father, Ben Davis, was selected to the game in 1991. – Duke and North Carolina each have three recruits playing in this year’s game while four other schools teams also have multiple selections. The other four teams with multiple selections are Notre Dame, Stanford, Kentucky and Tennessee. – Kaela Davis, the number two-rated prospect by ESPN Hoopgurlz, missed a good chunk of her high school season to get treated for Meniere’s disease. Davis has battled the disease, which is an inner-ear disorder characterized by hearing loss and vertigo, since she was 11. Davis is expected to play in the McDonald’s game as well as for Georgia Tech next season.